With the internationally renowned pianist LUKA OKROS. Mozart Piano Concerto No 21 and Tchaikovsky 4 feature. Tchaikovsky : Symphony No 4. *Note a slight modification to a previously published programme. 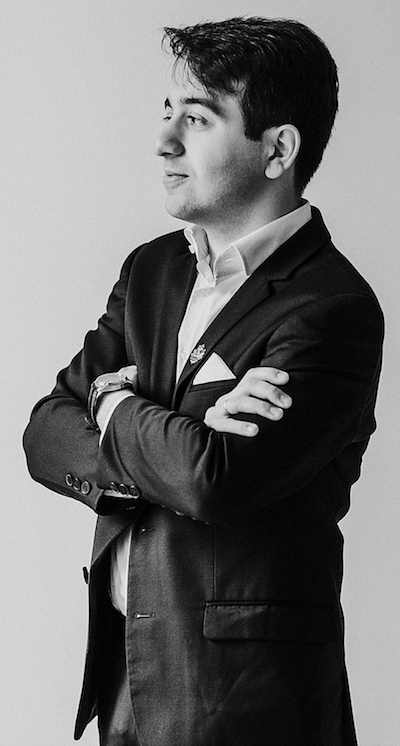 Luka Okros is one of the most promising pianists of his generation. Born in 1991 (Tbilisi, Georgia), he began his piano studies at the age of 4. At the age of 5 Luka gave his first public performance and at 6 he made his debut withthe Tbilisi State Orchestra under Revaz Takidze. In 1999 aged only 8, Luka played for the leading Russian conductor and violinist Vladimir Spivakov, who immediately offered him a scholarship and later financial support for his move to Russia in 2004. In 2013 Luka Okros graduated with a Bachelor’s degree from the Moscow Tchaikovsky Conservatory under the tutelage of Prof. Sergei Dorensky. In the same year he was awarded a full scholarship for a Master’sdegree at the Royal College of Music in London where he studied piano with Prof. Norma Fisher. His prizes awarded in international competitions include first prize at the Hannover ChopinInternational Piano Competition (2017), first prize at the Hong Kong International PianoCompetition (2016), first prize at the Morocco Philharmonic International PianoCompetition (2016), first prize at the Cergy Pontoise Piano Campus Competition (2015)and the first Iturbi Prize at the Valencia International Piano Competition (2015). He hasalso won prestigious awards from the Hattori Foundation, the Tillett Trust and the VerbierFestival Piano Award from the Tabor Foundation in Switzerland. At the age of 18, Luka Okros made his US debut at the Carnegie Hall. He has given concerts in many of the world’s most famous halls, including the Wigmore Hall, the Cadogan Hall and the Elgar Room of the Royal Albert Hall in London; the Salle Cortot in Paris, the Roy Thompson Hall in Toronto and the Palau de la Musica in Valencia and Barcelona. He has also performed in Austria, China, Georgia, Germany, Israel, Italy, Japan, Kazakhstan,Romania, Russia, South Africa, Switzerland, Turkey and the Ukraine. As a winner of the Jaques Samuel Intercollegiate Piano Competition, Luka was interviewed by Sean Rafferty on the “InTune” programme of BBC Radio 3, during which he performed pieces by Liszt and Rachmaninov. Luka Okros’s debut with the Royal Scottish National Orchestra, conducted by Thomas Søndergård on Sunday, September 10, 2017 was broadcast on ClassicFM. Your selection will be reserved for up to 20 minutes whilst you provide your contact and payment details for final booking.